A practical tool for one-on-one discipleship. With it, you’ll be able to sit down with a new believer and lead them through a foundation-building process, grounding them in an active relationship with Jesus, altogether becoming a Christian who loves the Lord and loves others with a desire to serve. The Workbook includes 10 easy-to-follow lessons using scripture and foundational principles; and also includes instructions on how to use the Workbook. Whether you've been a Christian for decades or just since lunch, the First Steps Discipleship Workbook is your passport to the adventure of a lifetime. Swimming Lessons is an engaging book that explores the foundational principles of one-on-one discipleship, and serves as a companion to the First Steps Discipleship workbook, giving a more in-depth understanding of why and how to disciple. Helping Your Child Know, Love & Follow Jesus. Every children's minister's wish list includes parents stepping up and leading their elementary children into a deeper relationship with Jesus. Now parents will--with these 10 simple, do-them-at-home sessions. Sessions include games and activities that are easily adaptable for children of different temperaments and interests. 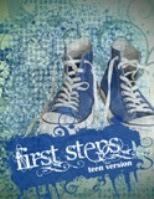 The Student Edition of the First Steps workbook is a great resource for discipling students between the ages of 13 - 18. This resource will be a catalyst for engaging with students and lay a foundation of faith that will ground them in an active relationship with Jesus, altogether becoming a Christian who loves the Lord and loves others with a desire to serve. The Workbook includes 10 easy-to-follow lessons, using scripture and foundational principles; and also includes instructions on how to use the Workbook. Praying Lessons will help you learn to pray by asking specific requests, learning the right attitude to for asking, and understanding what is most important, knowing that we can ask our Father in Heaven for anything! When we pray specifically, God answers our prayers. The Bible predicts the current conditions and explains how to be financially prepared. In this book you will learn: The source of prosperity; How to invest in the end times; What to do with your 401(k); How to have peace while struggling to pay bills; About the coming 666 economy; That there is still time for Christians to get their finances in order. Journaling helps to see how God moves in your life, and helps develop specificity in prayer. Use alone or in conjunction with the First Steps Discipleship workbook. To disciple using one-on-one relationships, you'll need two Discipleship Workbooks and two Life Journals. The Discipleship Workbook is a practical tool for one-on-one discipleship. With it, you’ll be able to sit down with a new believer and lead them through a foundation-building process, grounding them in an active relationship with Jesus. Journaling helps to see how God moves in your life, and helps develop specificity in prayer. We’re often asked if First Steps fits into a small-group setting. The answer is yes, and here’s an easy way to equip and empower your small group to begin discipling new and renewed believers. Includes 6 copies of Swimming Lessons and 12 One-on-one Discipleship Workbooks. Includes 10 copies of Swimming Lessons and 20 One-on-one Discipleship Workbooks.